Aerial view of Stubbs Cay near Pine Cay and Fort George Cay. Located close off Fort George Cay and partially connected by mangrove wetlands, Stubbs Cay is an uninhabited 91 acre island. 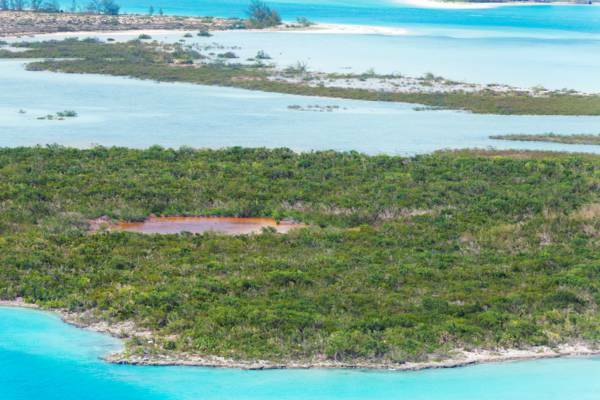 The terrain of this cay consists of swampy wetlands and low elevation coastal vegetation. Stubbs Cay is included in and falls under the protection of the Fort George Land and Sea National Park. Dry tropical forest and mangrove vegetation at Stubbs Cay.